I noticed that Bo Bunny was having a sketch challenge and seeing as how I was deeply buried in Mistletoe goodness, I thought I should use this sketch for one of my layouts. These collection packs sure go a long way. 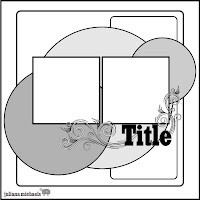 I think this is my fourth layout using it. I love the bright, bold colors and the totally fun patterns! This is Laya and Aaron on Christmas morning at our house. This was their first Christmas as a married couple! ( Which reminds me that I really have to start on their wedding album lol) I stayed pretty true to the sketch and just added a bunch of fun embellishments! This is so cute! I love the photo of Laya and Aaron and how you used the sketch. Great embellishments. Your really catching up on all those Christmas layouts. I love that you joined us at Bo Bunny for our challenge, so thank you! 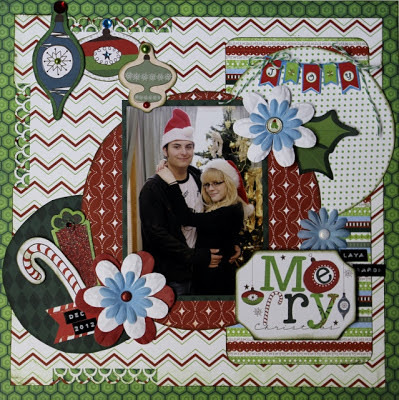 Another awesome Christmas page made with a sketch! 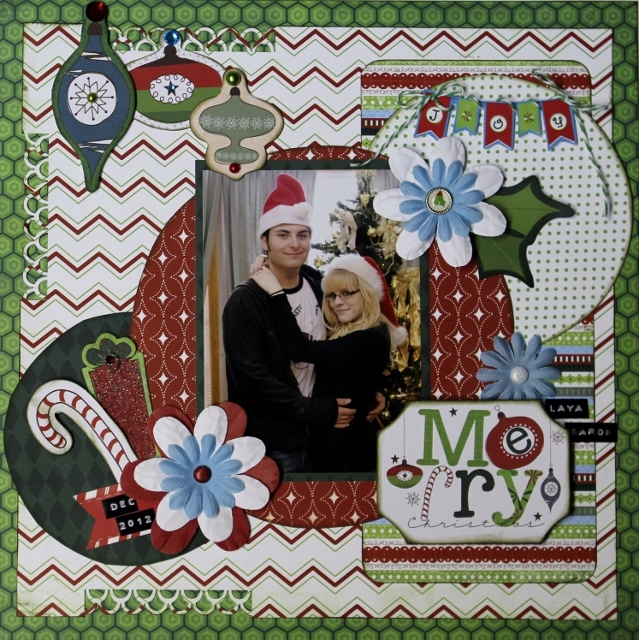 I love your layout-all of the details look fabulous, especially the punch work!! Adorable layout. What a fun memory. Your interpretation of the sketch is great. Thanks for playing along.